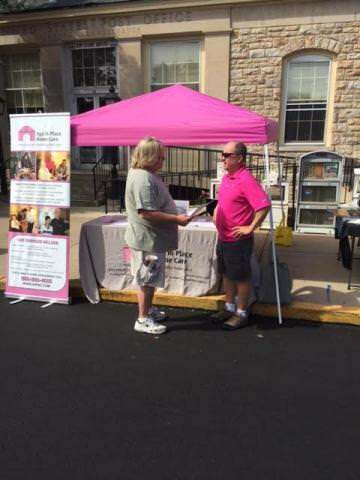 This is the fourth year in a row that Age In Place Home Care has participated in the Taste of Hamburg-er Festival on Saturday, September 3rd, 2106. Age In Place had its regular festival location in front of the post office on N. 3rd Street in Hamburg across the street from the Hamburg Senior Center. Because of our location, we were once again, able to interact with many of individuals that needed our home health care services the most. Keep an eye out for next year at this same location. The event draws over 35,000 people every year due to the great food, vendors, crafters and games that are there. We all had a great time and look forward to next year’s event.